This is fan art for Inverloch, a fantastic - and now complete - webcomic. 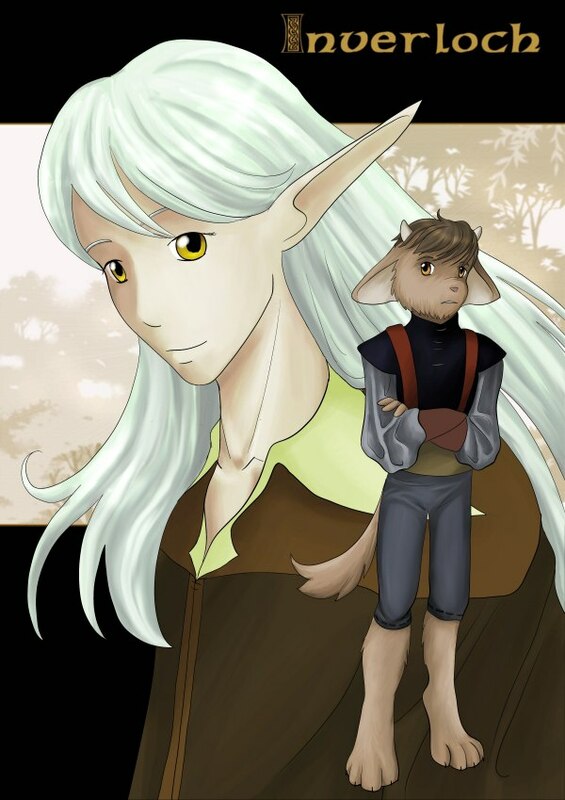 The characters and designs are copyright Sarah Ellerton, the author of said webcomic. It was submitted to her fan works competition in August 2007, but I did it mainly because I was feeling like doing random pin up art :) It was sketched, then inked in ComicWorks and coloured in Paintshop Pro 7. The background is a heavily modified tone from ComicWorks.